(INSIDE EDITION) -- For many, meal prep is key to maintaining a healthy diet and saving money, but if you elect to make your food days in advance, make sure to store it properly. 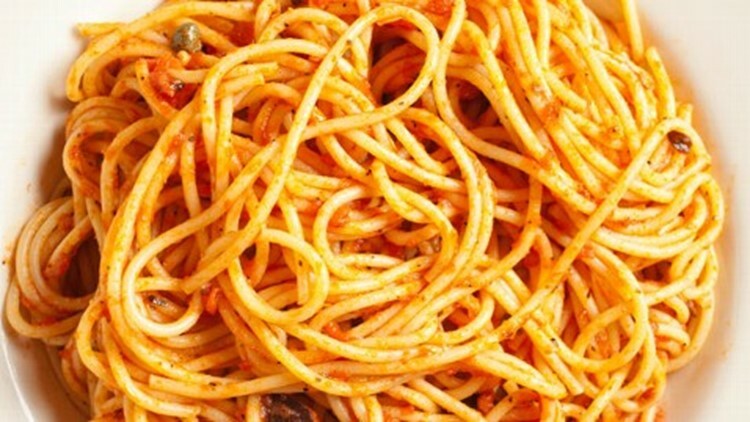 A famous case that recently resurfaced is that of a 20-year-old Belgian student who reheated spaghetti with tomato sauce after it had been left out in the kitchen for five days. The 2008 case was featured in the Journal of Clinical Microbiology and spotlighted on the YouTube channel Chubbyemu, which profiles strange medical tales. In this case, the student, who was not named, became ill within a half-hour of consuming the pasta, suffering intestinal distress, nausea and a headache, the medical journal reported. He decided to try to sleep off the symptoms, drinking water and not taking any medicine or seeking medical attention. He nodded off at midnight after hours of vomiting. The next morning, he was found dead by his parents. An autopsy showed he likely died about 10 hours after eating the pasta and that his liver had completely shut down and he was suffering from pancreatitis. So what happened? The student suffered from something known as "fried rice syndrome." "[It's] a generic term for a form of food poisoning, which is actually quite virulent, potentially lethal, which is caused by a specific ... bacteria called Bacillus cereus," Dr. Andrew Ordon of "The Doctors" told InsideEdition.com. The bacteria multiplies rapidly in food left out at room temperature, particularly rice, lending the illness caused by the microbes its distinctive name. Pasta is another such food that, when not refrigerated, can create the ideal environment for B. cereus to thrive. That's why it's important to make sure to store food properly. "If you consume it you can get really sick," Ordon said. The Belgian student isn't alone. Ordon pointed out several other cases of people who became violently ill after eating food contaminated with B. cereus. "There was one reported story a family went on a picnic, they cooked pasta, made it into pasta salad, so it had been sitting out for some time. ... They got very sick, in fact one of the family members died," he said. Another case Ordon addressed actually involved fried rice. "In Texas, a woman went to a Chinese restaurant, a buffet ... she got very, very sick [and] went into liver failure," he said. In 2018, Inside Edition spoke to the woman in question. Germaine Mobley said she became sick after dining at a restaurant just outside Dallas. "I started having problems breathing and my husband called an ambulance," she recalled. Mobley ended up in the intensive care unit for eight days afterward but survived. Ordon has a few tips to stay safe. "It’s important to remember when you cook food, you need to put it in the refrigerator, whether it's hot food or cold food," said Ordon. "Make sure it's refrigerated, don’t keep it too long. And there are certain foods that are a real setup: Pasta, rice, soups, sauces. "Make sure that when you cook them, you do refrigerate and don’t keep them around for too long."